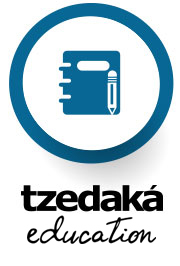 Fundación Tzedaká’s work relies on efficient budget administration and procedure transparency. To secure these two cornerstones, the Foundation features an Internal Audit area that ensures its compliance with optimal transparency and reliability standards for nonprofits, including sound administrative circuits and complete abidance to current legal and professional norms applicable to the Foundation’s operations. Additionally, periodical Reports are sent to donors, partner institutions, volunteers and the public in general, describing the Foundation’s endeavors and fund allocation practices. Similarly, the Foundation’s balance sheets and reports are available on this website. Our Foundation also resorts to external audits carried out by Price Waterhouse Cooper.